The St. John’s Town Center has done it again! 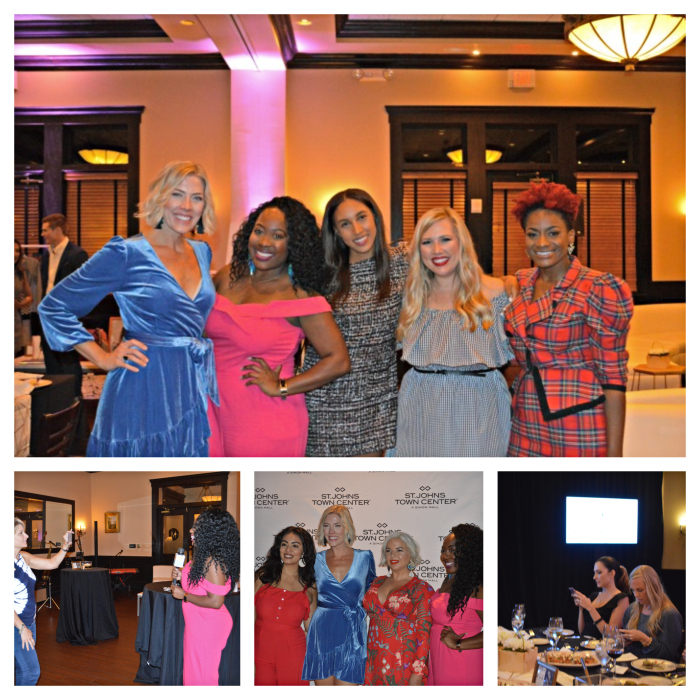 The 2nd Annual VIP Influencer Dinner went off without a hitch and your girl was there for all of the action! 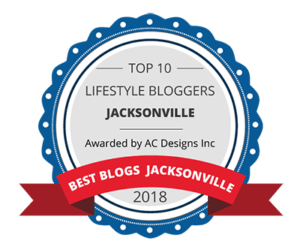 There is no denying that Jacksonville’s favorite town center knows how to put on a spectacular event and this one was no different. When I arrived I was greeted by the valet, who by the way, knew me by name before I even said anything! I thought to myself ” I’m sorry, have we met….No? Oh okay, so they’re just going to make a girl feel all extra VIP by calling me by my government? That’s what’s up!”. I checked in, entered the event space, and immediately grabbed a glass of wine because one simply can not mingle with out one! I instantly recognized some familiar faces and took notice of all of the lovely decorations including the ice sculpture denoting the event! I knew I was in for a wonderful evening of fashion, mingling, laughter, networking, and most of all fun, and I am so thankful to have been extended the invitation again this year! If you need a reminder of the inaugural event from last year, take a peek here. This year’s dinner was a bit different from last year’s but I can certainly appreciate the novelty. One of my favorite additions to this year’s dinner was the Digital Caricature station with the amazing Dan out of Orlando from the Artistic Talent Group! I’m a bit of an artist myself so when I saw that we were going to have the opportunity to get a cariacature done, I was low-key, excited! At first I thought sitting there was going to be awkward but Dan broke up the weirdness by chatting me up and making me giggle while creating my caricature! One thing that I’ve always been enamored by is how quickly cariacature artists are able to draw you! He was literally done with this in 5 minutes or so and to say I was impressed is an understatement! If I were a cartoon, this would be it! 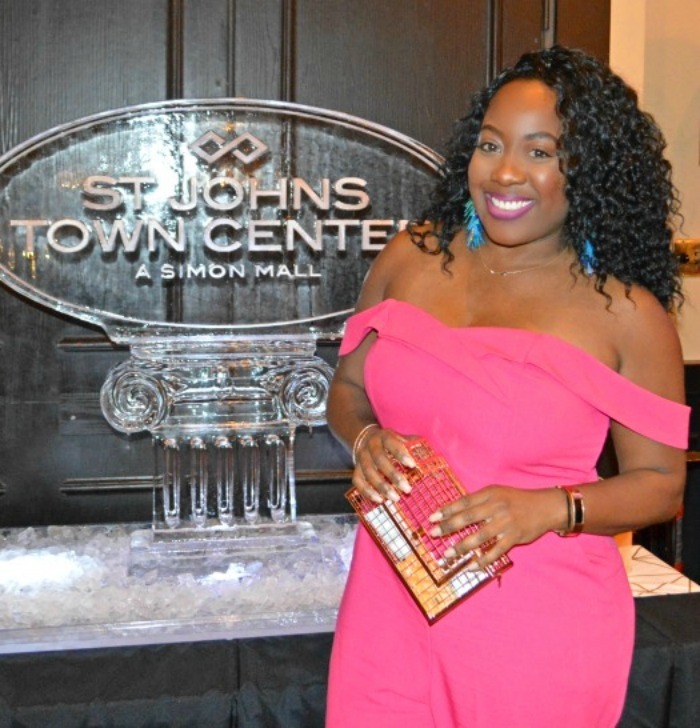 Like last year, several retailers from the St. John’s Town Center were in attendance to share some of the latest happenings from their neck of the woods. 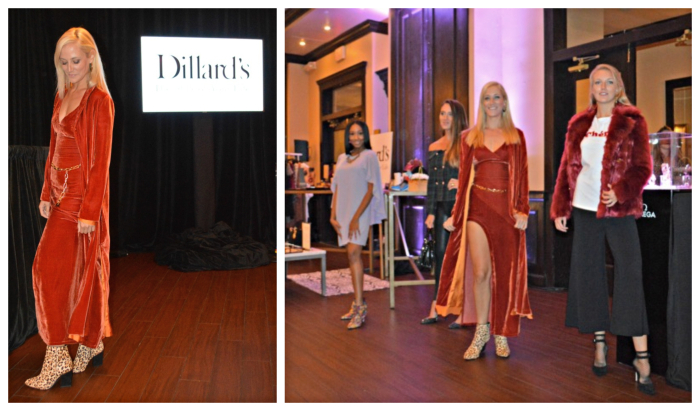 Making an appearance again this year was Brooks Brothers with sophistication and class, Apple with all your tech needs, Omega with watches EVERYONE should own, and Dillards…….Ohhhh Dillards with some of the most amazing looks for fall! I’ve always been a fan of Dillards but after this evening I might be a stan! They had THE BEST looks! Let me just tell you how “I got my entire life” watching the fashions being presented on the runway during dinner. I honestly wanted everything! Especially this velvet, burnt orange, thigh split, and leopard boot situation, baby girl was rocking! It was my favorite look of the evening! Luckily, all of the pieces we saw on the runway can be found right at the St. John’s Town Center so just trust me when I tell you to head on over to Dillards to get your fall and winter wardrobe together! 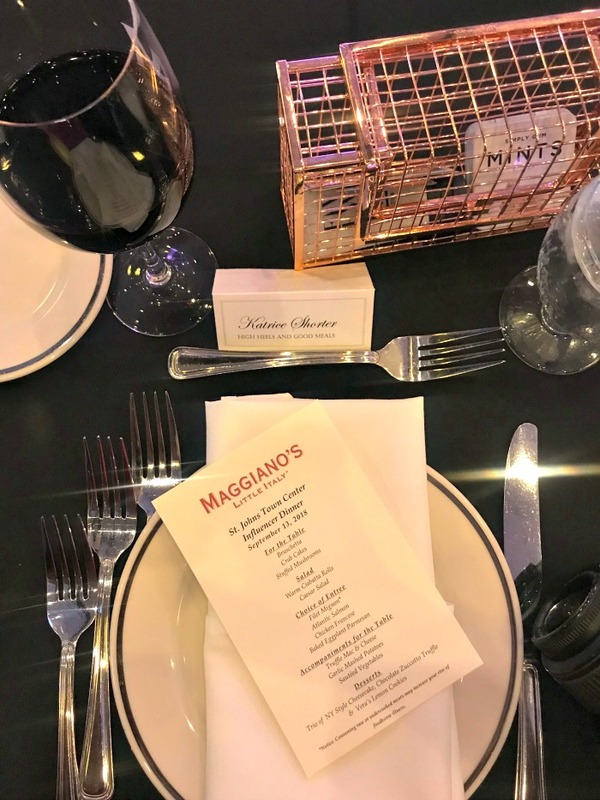 The event was held inside of Maggiano’s Little Italy this year which was ideal. The banquet area was very spacious allowing all of the retailers and entertainment to comfortably have their own area within the event while still being inclusive as everyone mixed and mingled. The table scape was just as gorgeous as last year and the food service was wonderful. For dinner we had a variety of Maggiano’s menu items to enjoy. Of course there were appetizers and dinner accompaniments for the table to share and we had our choice of dinner entrees and desserts. 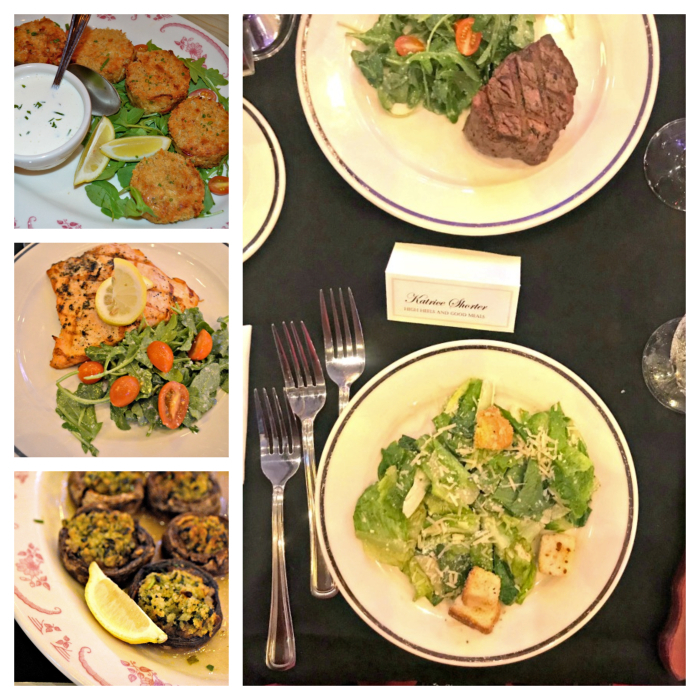 The crab cakes and stuffed mushrooms were my favorite appetizers and for dinner I chose the filet mignon and caesar salad, both of which were tasty. The star, however was dessert! I mean dessert usually does steal the show, right? I have never had a dessert from Maggianos and everything you see on this plate was demolished. 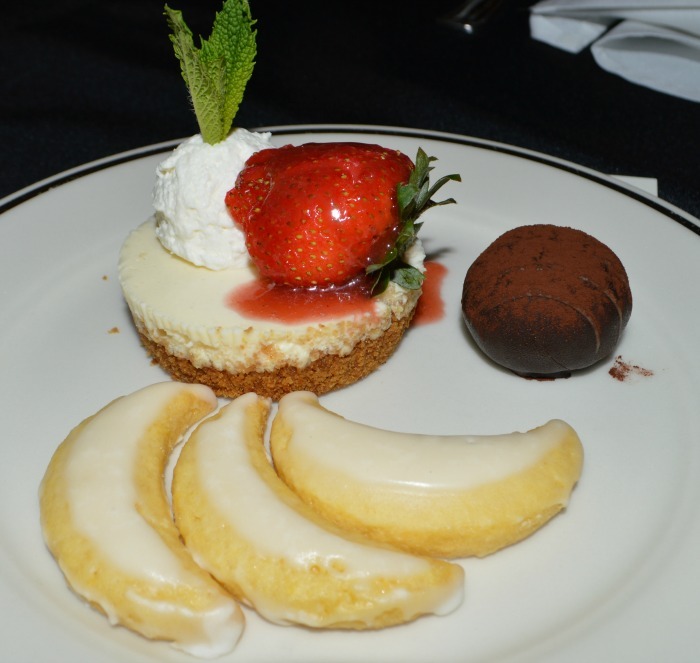 The cheesecake was decadent as was the truffle, and these little lemon cookies, were the crowd’s favorite! As expected, everything was wonderful. 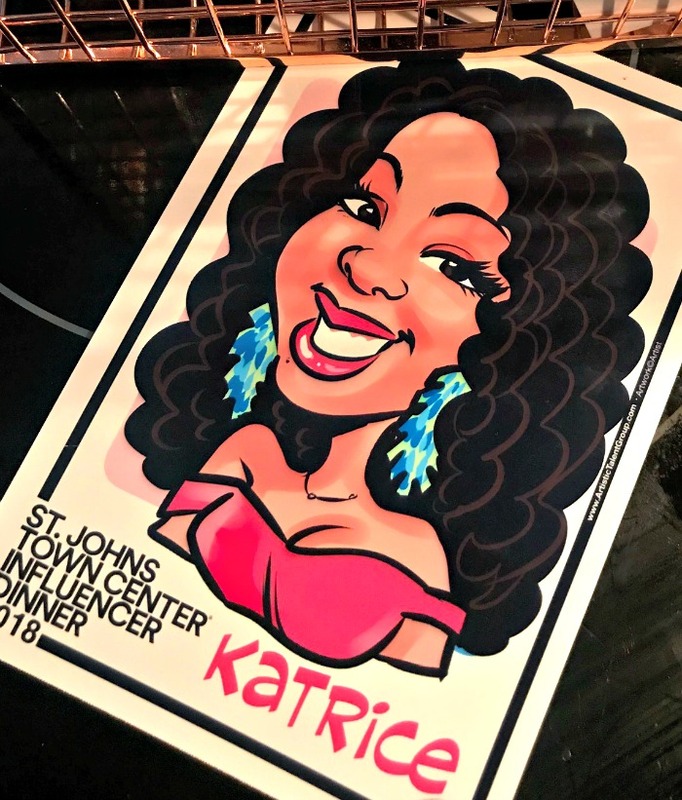 I wouldn’t have expected anything less from the St. John’s Town Center and of course, I would be completely remiss if I didn’t mention the fact that I was able to catch up with some of my fellow influencers! I wasn’t able to get a shot of everyone but here is a pic of some of my favorite Jax ladies! I sat next to one of my absolute favs, Stephanie, of The Borrowed Babes! She’s the one rocking that fabulous Rebecca Minkoff baby blue velvet dress, which I hear is available at Dillards…wink wink! If you don’t know her, you need to! I believe she’s missed her calling in comedy but she totally makes up for it in the fashion world because baby can DRESS! 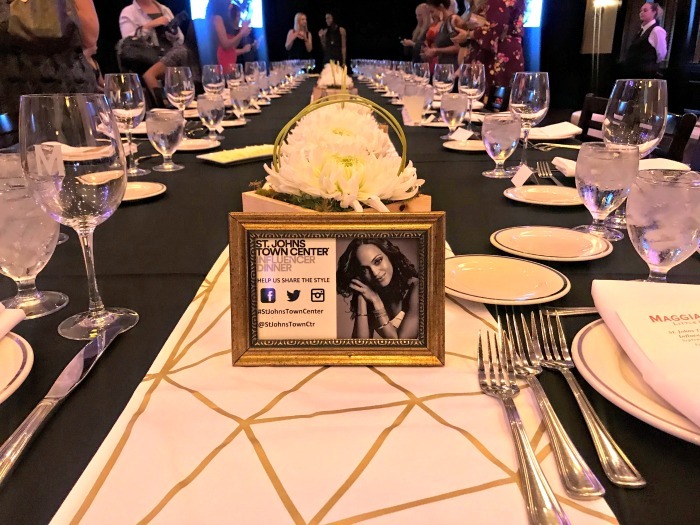 Check out her her amazing post about the event and while you’re there, go ahead and get lost perusing around the fabulousness that is her blog! The cutie standing on the other side of me is Sherane Chen. 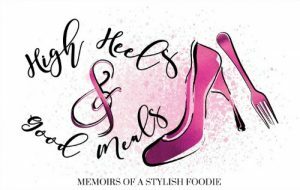 She has the cutest blog and is a girl after my own heart with her love of fashion, food, and travel! She’s also a campus rep for Victoria Secrets Pink and I can totally see amazing things in her future! Next to her is Blakeley of This Blonde Life and besides having great make-up and fashion tips, she has the cutest mini me! If ever you’re having a bad day, seeing a picture with her and her little girl dressed alike, will make you smile, I promise! On the end is my girl Prissy (and “Big Red”) of Rush Hour Fashion! She is hands down the reigning queen of DIY, thrifting, and crab boils. She oozes creativity! It is not up for debate, check her out and you’ll see what I mean! Like I mentioned earlier, I didn’t get everyone but all of the attendees are amazing at what they do! A huge thank you goes out to Simon Malls, who provided us with amazing swag bags, Maggianos for the lovely dinner, and everyone at St. John’s Town Center who worked so hard to make this evening come together so beautifully. An even bigger thank you goes out to you for taking the time to visit my blog and read my post all the way to the end! You are the real MVP! Thanks for stopping by! Next Post Texas de Brazil Celebrates 20 Years, Plus Giveaway! I can tell it was a beautiful and fun event; lots of yummy dishes too..